Masayoshi Son is not a household name in America. Yet. But the billionaire founder and CEO of Japan's SoftBank (SFTBF) loves to make a splash and is rapidly gaining a global profile thanks to a series of big deals. He met with Donald Trump in New York on Tuesday, after which the president-elect tweeted that "Masa" had agreed to invest $50 billion in the U.S. Son said he would pump the money into startups. Son is obsessed with the future. During an earnings call last month, he said he wanted to be tech's Warren Buffett, and he has a 300-year plan for SoftBank (SFTBF). Yes, 300 years. He wants his company to help break down language barriers and allow people to communicate telepathically. It may seem odd that a billionaire who wants to make silent communication a reality, just met with a billionaire known for loudly expressing his views at massive rallies. But not for Son. Related: Is Ivanka Trump mixing Japanese business with pleasure? 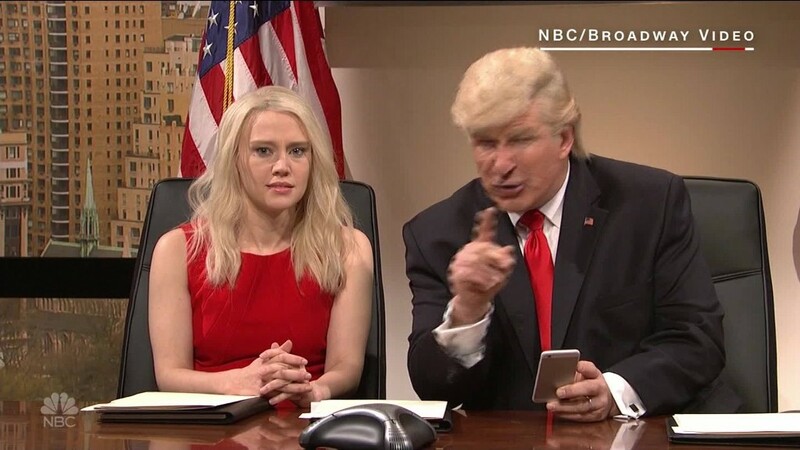 He has a track record of meeting directly with world leaders to talk business. Last week, he chatted with Prime Minister Narendra Modi about SoftBank's $10 billion investment in India's technology sector. In September, he called on President Park Geun-hye to talk about investing in South Korea. 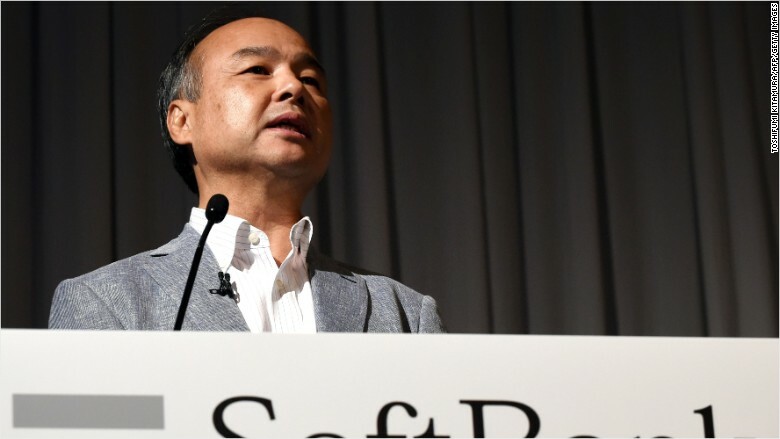 Despite his ability to open doors, he hasn't always had things easy in the U.S. SoftBank paid more than $20 billion to take control of Sprint (S) in 2012, but regulators blocked his attempt to merge the struggling mobile carrier with T-Mobile (TMUS) in 2014. After Tuesday's meeting, Son said he decided to back American startups because Trump had made deregulation part of his platform. Son invented a pocket translator when he was 20. He sold it to Sharp Corporation for $1 million. Tuesday's announcement wasn't the first deal Son has struck after a huge political shift. SoftBank bought Britain's ARM Holdings in a record $32 billion deal less than a month after the U.K. voted to leave the European Union. "Brexit did not effect my decision," Son told reporters at the time. "I was waiting to have the cash on hand." But the timing of the deal meant Softbank bought a prized asset on the cheap, when the pound was down more than 27% against the yen. SoftBank has invested in some highly-valued tech startups across the world. Among them: personal finance firm SoFi and Uber competitors Ola in India, Grab in southeast Asia and Didi Chuxing in China, according to PitchBook. Son was one of the earliest investors in Yahoo (YHOO), from which he made a fortune. He also got in early on Chinese e-commerce giant Alibaba (BABA), taking a 32% stake in the company. SoftBank recently took a hit from its Sprint acquisition. But Son has lost big before. As the dot.com bubble burst, he reportedly lost $70 billion in one day. He admits that 99% of his net worth was wiped out in 2000. His latest big venture is a $100 billion fund launched by SoftBank and the government of Saudi Arabia in October. "Life's too short" to do anything small, Son said recently in India. Like Trump, Son has a huge following on Twitter, and has used it to post thought provoking questions. In 2010, Son asked his Twitter followers: "What would be the saddest thing in your life?" The most common answers were death, loneliness and despair, according to SoftBank. In response, the company added a lofty goal to its corporate philosophy: ensuring no one is left alone. SoftBank partnered with Foxconn to make Pepper, a robot pal that learns to love people. Son also wants to build computers that invent machines to help raise life expectancy to 200 years. Ethnically Korean, Son was born in Kyusu, Japan. He went to college in the U.S., graduating from the University of California at Berkeley in 1980 with a degree in economics. When he was 20, he invented a pocket translator he sold to Sharp Corporation for $1 million. 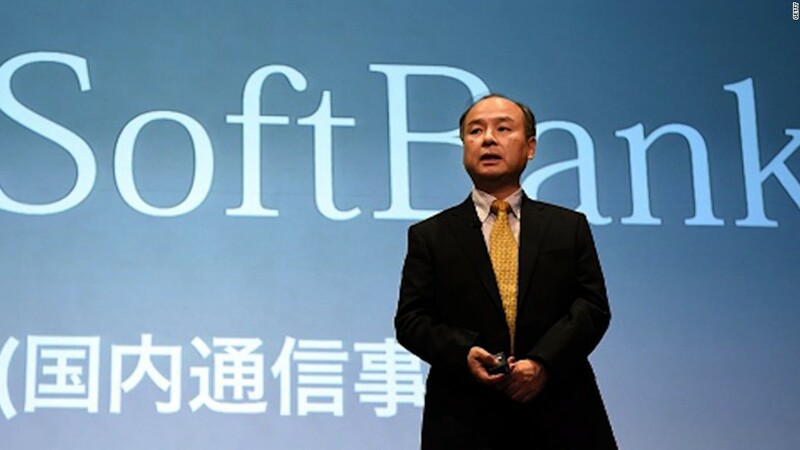 Son founded SoftBank in Japan in 1981 with two part-time workers and a small office. Today, he's worth $18.7 billion, according to Forbes. When the 59-year-old dies -- a few years from now or when he's 200 -- he has said he wants to be remembered as "a crazy guy who bet on the future."